The South Australia Liberal government has finally outlined details of its long-awaited Home Battery Scheme, that will offer $100 million in state government subsidies for up to 40,000 households to install battery storage in their homes. Individual grants to up to $6,000 will be granted to help with the purchase of the batteries, a graded subsidy level will add more support to low-income households, while the Clean Energy Finance Corporation is offering $100 million in loans to help in the purchase of rooftop solar for those who don’t already have it, or who want to enlarge their current system, and to help with the battery purchase. All the batteries available in the scheme will be capable of participating in a virtual power plant – meaning that they can be linked and orchestrated by a third-party user to provide grid services – but there will be no requirement on individual households to participate in the scheme. It is by far the biggest government incentive for battery storage in Australia to date. Nearly two million households in Australia have rooftop solar, but only 20,000 installed battery storage last year. Storage at household level is considered inevitable over time, but governments and energy market operators are keen to a accelerate it because of the advantages of using batteries to help co-ordinate the output from rooftop solar systems. 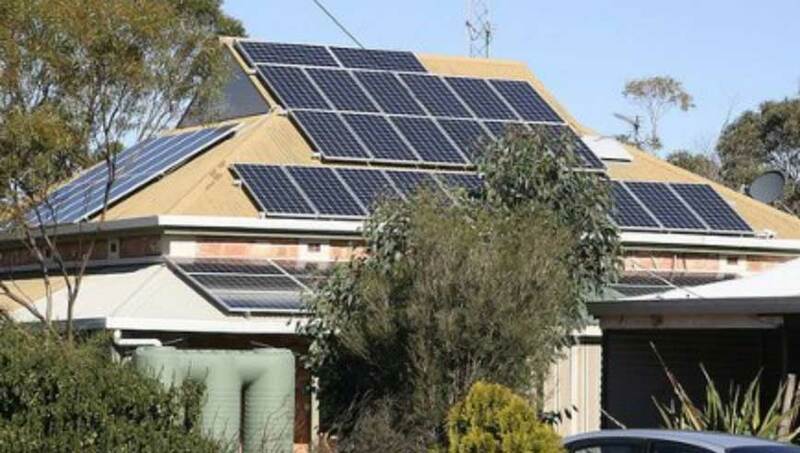 The need is particularly acute in South Australia, which has systems on more than 230,000 rooftops, and which in the next few years may be producing more rooftop solar than the overall demand in the state. The Australian Energy Market Operator says this may create challenges, and having more storage will help manage that situation. Liberal Premier Steven Marshall first outlined his plan to give $100 million in grants to 40,000 households last year in the lead up to the election campaign. The then Labor government responded with a proposal – initiated by Tesla – to provide upfront financing for 5kW of rooftop solar and a 13kWh battery to participate in a 250MW virtual power plant, the world’s biggest. Other groups like Sonnen also proposed similar, but smaller schemes, including the creation of a manufacturing base in South Australia. (Update: Sonnen on Sunday announced it would go ahead with an battery manufacturing facility at the old GM Holden site in Elizabeth and said it could create a VPP of between 150MW and 250MW, based on the 10,000 batteries a year it will build). Tesla has also canvassed a manufacturing site in Adelaide, “if the conditions are right”. The first 1,100 installations of the Tesla VPP are being co-funded by the government, but the fate of the remaining component – adding solar and storage to another 49,000 low-income households – depends on the interest of a new retailer and getting finance. The Liberal government says its grants scheme will be available from October this year, and RenewEconomy understands that the funds allocated in this week’s budget will allow for around 5,000 homes to obtain battery storage this financial year. The subsidy will vary depending on the size of the battery purchased, but it will be capped at a maximum of $6000. Furthermore, it will be graded in support, so energy concession holders (pensioners, veterans, low-income households) in the state will get a subsidy of $600/kWh, while other households will get a subsidy of around $500/kWh. Depending on the brand and system chosen, that will likely equate to more than half, of the installation cost of a battery storage system and bring the investment back towards a seven-year payback, although that calculation depends on so many factors such as size, location and use. Importantly, it appears that the subsidy is designed to reduce – possibly each year – but depending on the take-up rates and the costs of battery storage. The subsidy seems to be front-loaded for the start of the scheme and will then gradually reduce to ensure that 40,000 households can actually participate. Energy minister Dan van Holst Pellekaan says the deal with the CEFC was critical in being able to overcome the upfront costs of battery storage. “In working with the CEFC we expect to be able to further assist households overcome the upfront financial barriers to accessing storage technology by offering households competitive, flexible loans where needed, in addition to the subsidies,” he said in a statement. The government says the scheme will reduce demand on the network, particularly at peak times, and so help lower prices for all consumers in the state. The subsidy will be applied to the battery component only, while the finance from the CEFC will assist with the purchase new or additional solar panels as well as the battery system. Pellekaan said the subsidy levels and the subsidy cap are expected to reduce over time as competition in the market increases and the cost of home battery systems goes down. “While households will be able to choose whether or not their home battery system operates as part of a virtual power plant, the ability to aggregate household solar and batteries – either now or at a future point in time – creates opportunities to address network issues and smooth loads by balancing out peak power demands,” the statement says. Battery storage provides will be required to qualify as a “system provider” and will need to go through the government’s dedicated website. Only those with batteries capable of being recruited into a VPP need apply. “As part of the qualification process, installers and suppliers of home battery storage systems will be required to specify the extent to which their products and services contribute to the South Australian economy,” the government statement says. “Priority will be given to System Providers that commit to installing approved battery systems that are manufactured or assembled in South Australia. The site will also provide assistance to homeowners in choosing system providers and products, and choosing the right size of system and getting access to the subsidy and finance.